Slime is a the rage right now! 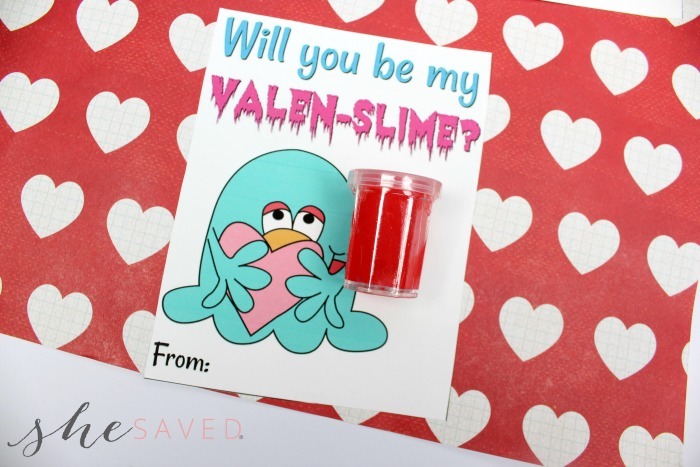 Make these fun and FREE Valen-Slime Valentine Slime Printable Cards to pass out to classmates by printing my FREE Valentine Slime Printable Cards. A huge part of the fun for Valentine’s Day is taking the time to make your own cards and gifts and I love that these cards include something that all kids love right now: SLIME! 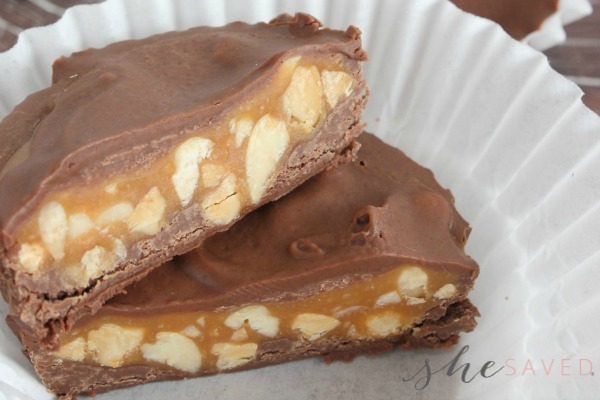 Also fun to give something other than candy, as heaven knows kids get plenty of that for Valentine’s Day! All you have to do is make your slime and attach to a slime container. You could even put your slime in little baggies and attach the card to a string around the bag. We used a strip of hot glue to attach the container to the cardstock that we printed on. I would have the kids sign the cards before attaching the slime, just to keep things simple. Aren’t these fun? 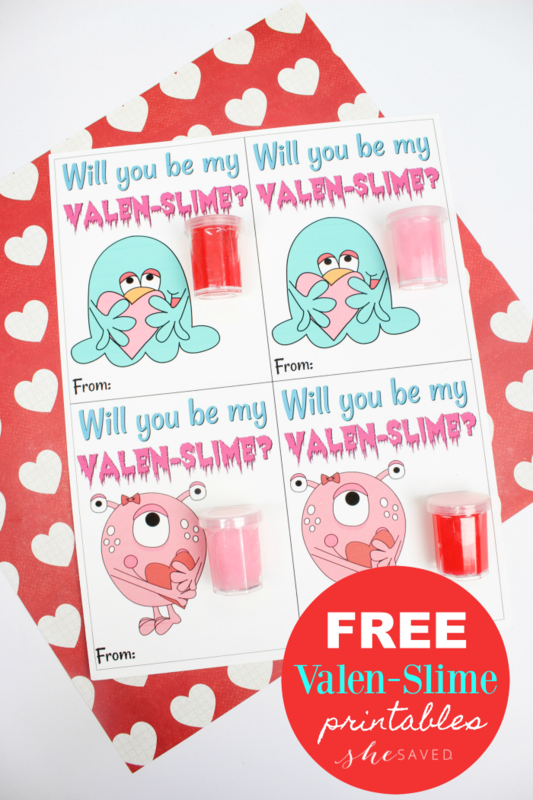 Go here to print your FREE Valentine Slime Printable Cards.